If you're a PS4 fan, Sony is planning to bring you much more coverage from E3 this year than in years past. Sony is planning to greatly expand its livestreaming offerings at this year's E3. In the past, the company has livestreamed its press conference, but this year, it plans to offer streams throughout the show. Sony says those streams will feature content from dozens of games for PS4 and PSVR. 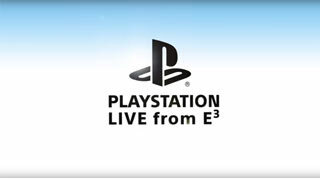 In addition to streaming on its YouTube and Twitch channels, the company also plans to host "PlayStation Live from E3 2017" on its website at live.playstation.com. If you watch at live.playstation.com, you'll be able to complete quests to earn rewards. There's no word yet on what those quests might consist of, or what the rewards you can earn might be. While you're on the site, you'll also be able to browse videos that have already been shown at the event. Sony also plans to host its E3 Experience streams live in theaters in the US, Canada and South America on June 12. More details on that are still to come including times and locations, but for now Sony has at least confirmed that E3 Experience is happening this year. Making games out of watching games? Appealing to the multi-tasking nature of an easily bored demographic? Can we make games out of the games that others play by watching people play games inside other games? How deep can this gameception go? Maybe I should consider creating badges that you can earn on The Escapist by completing the quests on the PlayStation website by watching videos about E3 stuff. Well, here's hoping we see something about KH3, FFVII Remake, and God of War. If the people demand gameception, then ception they shall game! Taking a page from Nintendo's playbook, eh? Good. Honestly, more companies should do this. Show off their games by livestreaming them themselves. Gives good exposure about what the games entail.